“Today’s resolution is another important step in our efforts as we change the rules of the game at the UN,” said Israel’s Ambassador Danny Danon in welcoming the resolution. 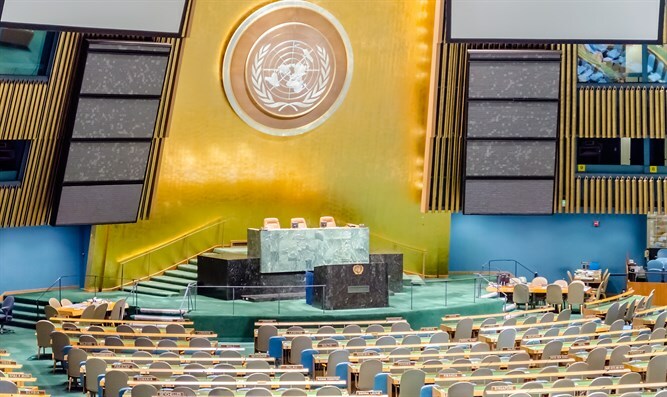 “Less than two weeks ago, a plurality of members in the General Assembly voted to denounce Hamas, and now today’s resolution explicitly condemned terrorists for the despicable double war crime of hiding behind women and children while attacking civilians. There is much work to be done, but this milestone accomplishment brings us closer to the day when the UN will focus on truly bringing security and stability to the world."